The U.S. Environmental Protection Agency (EPA) is pleased to recognize Demand Control Kitchen Ventilation (DCKV) with the ENERGY STAR® Emerging Technology Award for 2015 – 2016. 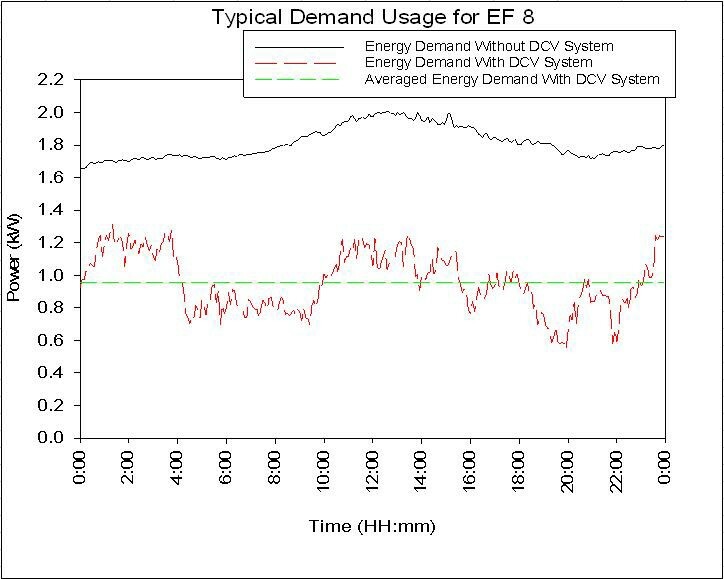 DCKV technologies employ advanced sensors and variable speed controls to offer end users significant reductions in energy use and CO2 emissions compared to standard kitchen ventilation systems. Field studies suggest that energy savings could be 60% or more depending on the facility and type of operation. Systems that meet the performance criteria for DCKV will be listed on this webpage once it is determined that all Award criteria have been satisfied. EPA presents the ENERGY STAR Emerging Technology Award for DCKV to Gaylord at the National Association of Food Equipment Manufacturers (NAFEM) Show. EPA presents the ENERGY STAR Emerging Technology Award for DCKV to Halton at the NAFEM Show. EPA presents the ENERGY STAR Emerging Technology Award for DCKV to Intellinox at the NAFEM Show. EPA presents the ENERGY STAR Emerging Technology Award for DCKV to Melink at the NAFEM Show. Commercial kitchen ventilation removed the heat and effluent generated by the cooking process from the kitchen space, ensuring the comfort and safety of the cooking staff and preventing cooking odors from spreading beyond the kitchen. Commercial kitchen ventilation is composed of an average of two hoods suspended above the cooking appliances, and ducting and fans necessary to expel the heat and effluent outside. To replace the air lost through this process, make-up air (MUA) must be provided by the building’s heating ventilation and HVAC system or a MUA system dedicated to the kitchen, which is composed of its own fans, ducts, and potentially heating or cooling depending on the climate. DCKV provides control over the ventilation system by modulating the speed depending on cooking activity. 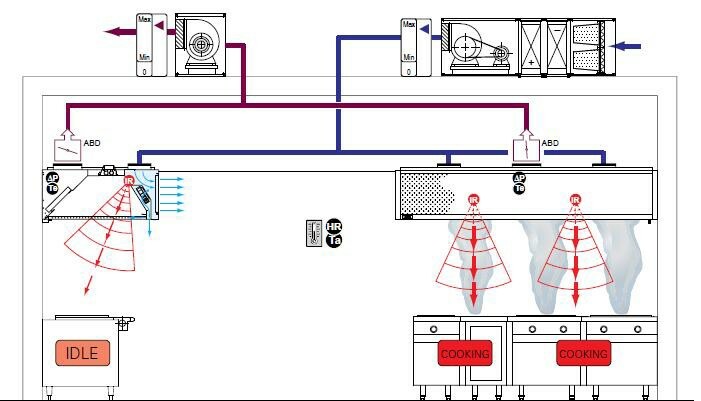 Traditionally, commercial kitchen ventilation systems would operate at their maximum designed speed/volume throughout the duration of the kitchen’s operating hours or provide manual control over two speeds. In contrast, DCKV provides automatic, continuous control over fan speed in response to temperature, optical, or infrared (IR) sensors that monitor cooking activity or direct communication with cooking appliances. Source: Halton, "13 Coins Case Study: Airflow and Energy Savings with the Halton MARVEL System," Halton, 2013. To learn more about these technologies and the savings potential, read EPA's DCKV Technology Profile (PDF, 313KB).